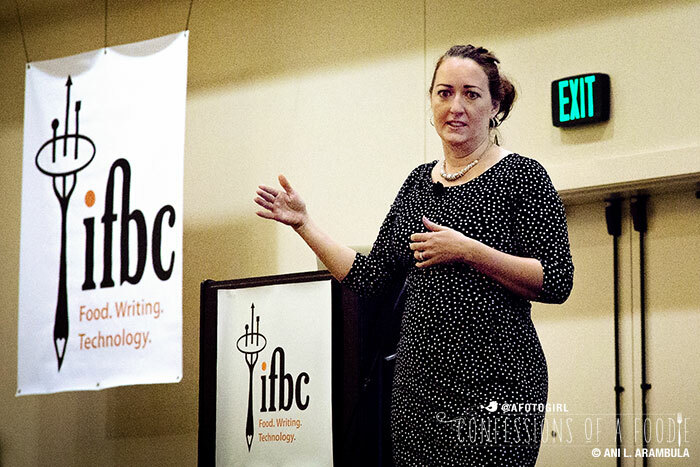 With the announcement that IFBC 2016 will be in Sacramento, here are some takeaways from this year's conference. 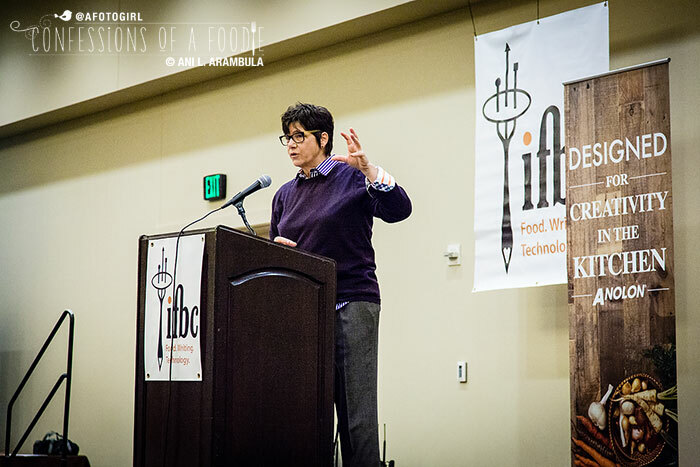 International Food Blogger Conference keynote speaker, Kim Severson, food writer, The New York Times addressed attendees on Saturday, September 19, 2015 in Seattle's Sheraton Hotel. 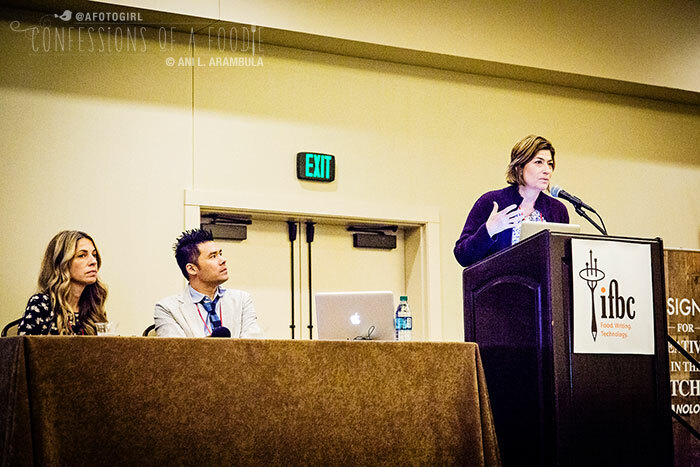 The 2015 International Food Blogger Conference (IFBC) wrapped up last weekend. Focusing on food, writing and technology, the yearly conference brings together on average 300 food bloggers from several countries to learn, taste and network. 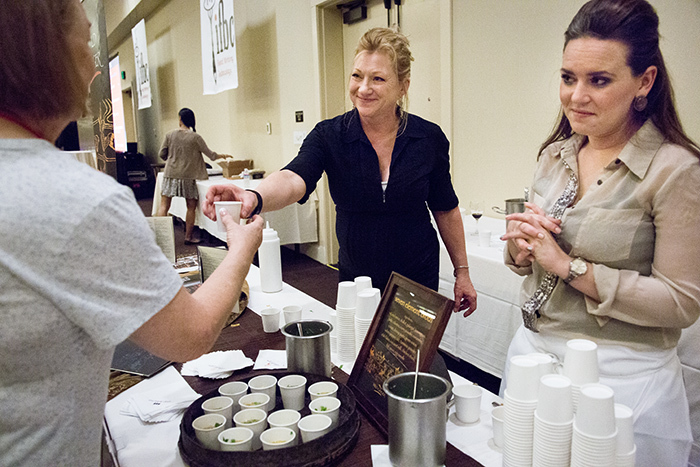 Several Seattle businesses were in attendance registration night providing attendees with samples like this nutrient dense broth from The Triple Door. At the close of this year's IFBC Sunday, Zephyr Adventure's founder, Allan Wright, revealed that next year's conference will be returning to California with first time host city, Sacramento, providing a vital component to the conference that has been lacking in previous editions: an agricultural perspective. An article in the Sacramento Bee, reported that the city's convention and visitor's bureau has been aggressively pushing the city as "America's Farm to Fork Capitol." According to the official Farm to Fork website, "the Sacramento region contains 1.5 million acres of regional farmland, 8,000 acres of boutique farms, with 70 percent of the region’s land being agricultural, forest or other open space." It goes on to state that "Sacramento’s Mediterranean climate produces some of the nation’s most diverse and high-quality crops year-round." and Sarah Flotard, food stylist. 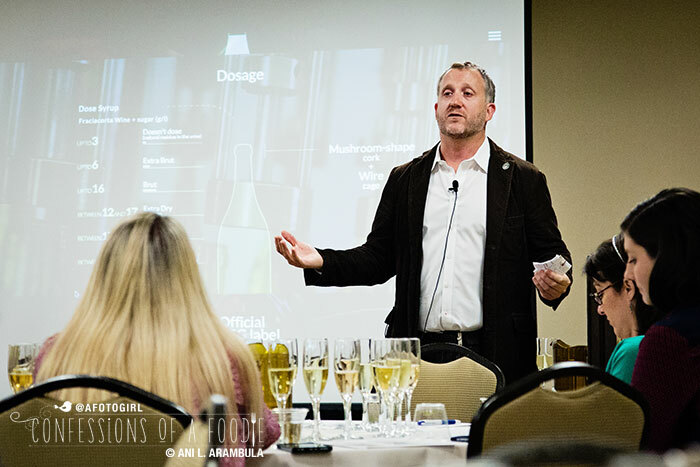 Previous conferences have rotated between Seattle, Portland, New Orleans, and Santa Monica, all food cities with a thriving restaurant scene. Bringing it to Sacramento, drops the conference right into the heart of California's farming industry (which in turn, will also bring our years-long drought and it's impact on agriculture to the forefront). With potential opportunity for more excursions that could include farm tours, early plans by the visitor's bureau to host a Saturday night street party for the potential 300-plus bloggers that will descend upon the city, and closer proximity to the Napa/Sonoma Valley's wine region, next year's IFBC has the potential of being bigger than previous editions and, if you're a food blogger, a "must attend" event. Early registration is happening now. Register here. DO NOT USE A THIRD-PARTY TO POST TO YOUR FACEBOOK FAN PAGE. Facebook doesn't play well with others and will virtually bury third-party posts in your fan feeds. The over-riding theme was accuracy, accuracy, accuracy. "People come to your site to trust you so do your best to be right." 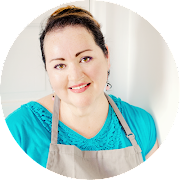 Kathleen Flinn, journalist, author and blogger at cookfearless.com. Disclosure: As a Citizen Blogger for the International Food Blogger Conference, I received a reduction in my registration fees in exchange for agreeing to write a minimum of posts before, during or immediately following the conference, topic to be of my own choosing. This is the third of these posts. As always, all photographs and opinions are my own. ••• A big thank you to Foodista.com and Zephyr Adventures for putting on the event! Great recap! Weren't Kim's 'hard-boiled journalist' sayings fun? I missed Kathleen's session so it was good to get a summary here. Hi Mary. Thank you! And yes, I thoroughly enjoyed Kim's speech. So entertaining and so on point! Great recount of what you learned! Thank you! Thank you, Dorothy! Though some of the material was more review for me, I did come away with lots of little gems that I plan to implement. Great recap, Ani - thanks for all the hard work gathering and organizing so much information. Thank you, Liz! It was a fun adventure! OH, so glad it didn't! LOL... Thank you, Stephanie! I know exactly what you mean Lynn. I use yummy myself, too much even. But I'm gonna try to get best at my taste descriptions. One Google search led to another for 2016 food blog conferences and ultimately led me to your blog and this particular post ~ thankfully! 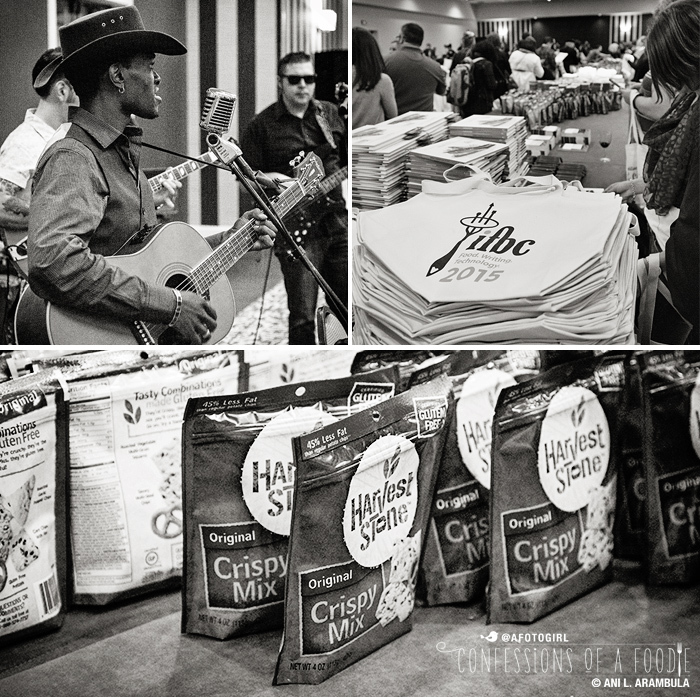 I didn't go to IFBC 2015 but after reading this post, I feel like I did ~ and wish I had! Such great info - thank you!! As soon as I'm done with this post, I'm signing up to get 'confessions' into my email box. Great blog! !